Water sports do come in various ways and one that is enjoyed by both teens and adults is Kitesurfing. The best thing a person can ever engage in is sporting activities that are thrilling. Water sports are one great thing you can ever get involved in and in this one you will have to make the most from the strong winds. This surface water sport is loved by many because it does come in handy in terms of what you can do such as surfing, windsurfing and wakeboarding among others. When it comes to Kitesurfing Cyprus you will find very many people participating because it’s awesome. There are many Kiteboarders not only in Cyprus but also in Pervolia where during free times, many people will come together to enjoy the power of wind. The major challenge now is choosing a Kitesurfing Cyprus provider who can meet your personal or family needs. Is that what is bothering you? If that is your issue then your search should be over because Wind Bandit has what it takes to meet your Kitesurfing needs. There is no doubt about the fact that you are now asking yourself whether Kitesurfing is for you or not? Well, at Windbandit we have everything set for you. As long as anyone is above the age of 8, he/she is capable to enrolling to our Kitesurfing lessons. Our ability to provide the training is simply because we have state of the art equipment for training and also the professionals to make that a reality. Are you thinking about safety issues? That should not run on your mind because all our equipment is safe for use as they have been given a go ahead for training newbies. There is a standard known as IKO that needs to be observed during Kitesurfing training. With Windbandit we have been approved by that. If you are that shy guy who doesn’t want the public to see getting trained, have no worry because we do it privately with your own personal trainer who is Nikos Pissourios. What if You Don’t Have Your Own Equipment? Not everyone who loves Kitesurfing Cyprus has his/her own equipment for battling the wind in this sport. 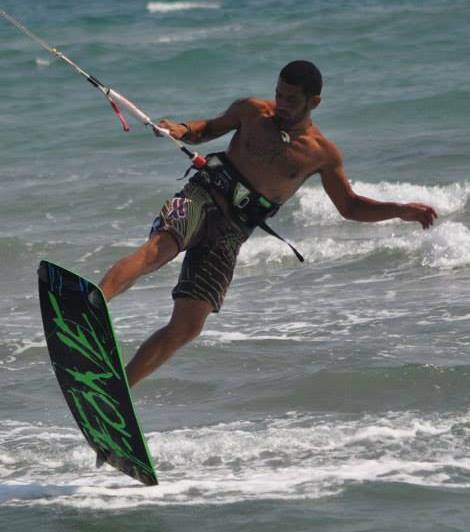 That is a non issue to you because we understand that and that is why we offer Kitesurfing Cyprus rental services. We do understand that you may be busy in your business hence you have little time spared for such activities. In such situations you will find it unnecessary to own the Kitesurfing kit. That is when rental of this equipment does come with many benefits to you. You can borrow from us depending on how long you want to use it and it can start from half a day to more than 5 days hence the choice is solely yours. Our location is in Pervolia but we also service the entire Kitesurfing Cyprus needs. Get in touch with us today if you want to always have a fun adventure at the surface of the sea any time for the best moments ever.